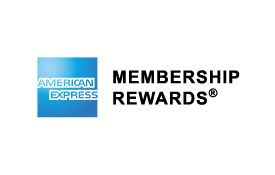 The American Express Membership Rewards® Programme allows Card Members to earn points on purchases and redeem them for rewards and experiences including travel, shopping, dining, and entertainment. Enrolment in the Emirates Skywards Programme is required. Membership in the Emirates Skywards Programme is at all times subject to the Emirates Skywards Programme Rules as set out on emirates.com. Once a transfer is complete, you can redeem Skywards Miles for a range of rewards. Log into your Emirates Skywards account at emirates.com and follow the online instructions or call your local Emirates Contact Centre. Once Skywards Miles are credited to your Emirates Skywards account, changes, reissuance or re-credit of Skywards Miles are not allowed. Please note no booking can be made until the Skywards Miles are credited to your Emirates Skywards account. All redemption bookings are subject to the Emirates Skywards Programme Rules as set out on emirates.com. All taxes, duties and carrier imposed charges (including airport and/or government taxes) are the responsibility of the Member and must be paid prior to the issuance of the Reward ticket. Payments are accepted in cash or by Credit Card. Visit the American Express website or call the Customer Services telephone number on the back of your American Express Card for Terms & Conditions which apply.